Why do I need to make my website disability-friendly? The Web must be accessible to provide equal access and equal opportunity to people with diverse abilities. Indeed, the UN Convention on the Rights of Persons with Disabilities recognizes access to information and communications technologies, including the Web, as a basic human right. Accessibility supports social inclusion for people with disabilities as well as others, such as older people, people in rural areas, and people in developing countries. Accessibility also benefits people without disabilities. The Web Accessibility Perspectives video shows examples of how accessibility is essential for people with disabilities and useful for everyone in a variety of situations. There is also a strong business case for accessibility. Accessibility overlaps with other best practices such as mobile web design, device independence, multi-modal interaction, usability, design for older users, and search engine optimization (SEO). Case studies show that accessible websites have better search results, reduced maintenance costs, and increased audience reach, among other benefits. Developing a Web Accessibility Business Case for Your Organization details the benefits of web accessibility. How do I make make my website disability-friendly? Use alt tags on your images. The "A birthday cake with a mermaid theme" is the alternative text for the cake image. If your website uses lots of image and none of them have alt tags, better start putting them in! Alt tags also improve SEO which means it's a double win for you. Make sure your site is accessible with keyboard alone. Many assistive technologies rely on keyboard-only navigation. You can test this out by using the TAB key on your keyboard instead of a mouse. The TAB key will jump between parts of a web page that can have keyboard focus. The main goal is to ensure that all content on a web page is accessible through this method alone. If you find it difficult or downright impossible to navigate your website with a keyboard alone, then it isn't accessible. Ensure forms are designed carefully and work properly. Validating Input: Validate input provided by the user and provide options to undo changes and confirm data entry. Multi-Page Forms: Divide long forms into multiple smaller forms that constitute a series of logical steps or stages and inform users about their progress. Color blindness is more common than you think. You can use the Contrast Checker tool to check if the color scheme of your website isn't causing problems for visually impaired users. The most important thing to make sure is that text is clearly legible against your websites backgrounds. Use responsive layouts that can be zoomed. Most browsers already allow text to be zoomed. However, if a website isn't built with this possibility in mind, the layout can break and make it more difficult or ever almost impossible to interact with your website. Make sure your website's CSS consciously avoid the use of absolute units like using pixels for font size and element dimensions. These don't play well with zoomed pages. Also make sure that zoom isn't disabled altogether. In order to be safe, make sure your website is zoomable to up to %400 while staying functional and accessible. Provide subtitles and transcripts for video/audio content. If your website contains video and/or audio content, make sure subtitles and transcripts are available. Use tables for tabular data and nothing else. Table elements should be used for displaying tabular data and nothing more. In the old days, they were used to achieve complex layouts. This practice has long been abandoned and frowned upon, however. Also, make sure your tables only contain necessary information and kept as simple as possible to lessen the burden on those using assistive technologies. Buttons and links should be big enough. For people with motion impairments, it's important that buttons and links are big enough and easily clickable. Make sure your buttons are wide and tall enough and that it's clear what the button is for. Use colors for links that contrast both the background and the surrounding text. Ensure that surrounding elements don't impair one's ability to interact with them. This can be done by increasing line height for text and using margin/padding for buttons. 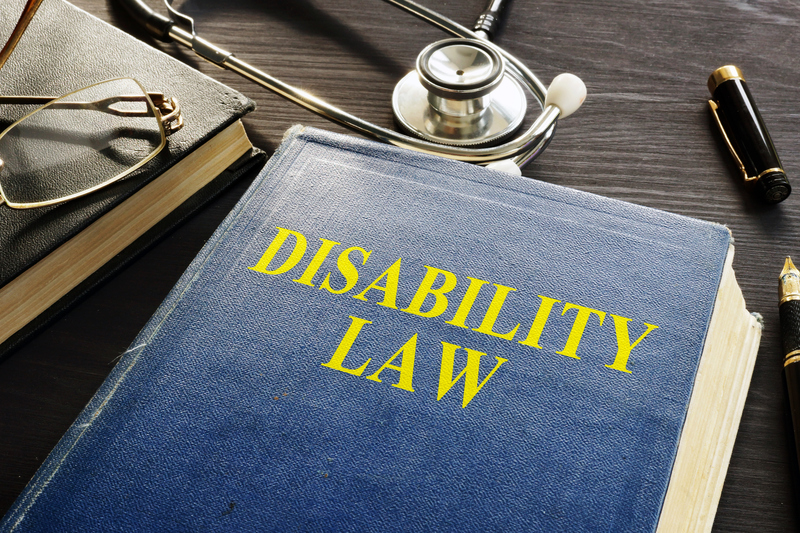 There is such a wide variety of disabilities that it's hard to cover all bases. However, this is no reason to not try and at least make your website accessible to most. To get a feel on how these technologies help disabled people, it's best to try an actual assistive technology device. You may also download ChromeVox; it's a screen reader is an extension to Chrome that brings the speed, versatility, and security of Chrome to visually impaired users.